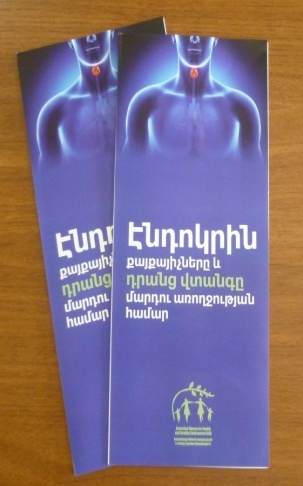 The project supported by GGF in 2015-2016 was aimed at raising awareness on EDCs containing pesticides and its identification among the approved list of pesticides entering Armenian market. The pesticides with EDCs as active ingredients were identified. For that purpose, the list of pesticides was reviewed through consultations and literature review. Among these chemicals there were pesticides including 2,4D herbicides: 11 trade names Mancozeb Fungicida: 30 trade names; Metribusin herbicides: 16 trade names. On the 2nd of June 2016, a national seminar was held at the Yerevan Aarhus Center to discuss the problem of endocrine disrupting chemicals. 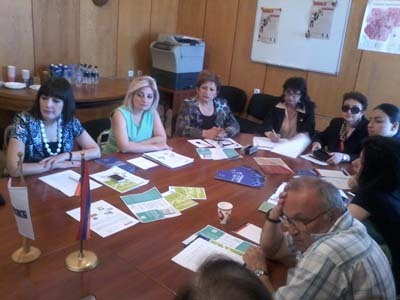 It was organized by the “Armenian Women for Health and Healthy Environment” (AWHHE) NGO within the framework of the “Protecting women’s health from the impact of endocrine disruptors” project supported by the Global Green Grants Fund. The seminar was attended by 20 participants representing the state authorities, ministries, environmental NGOs and the media. The information was disseminated during consultations with high-level decision-makers and among the participants of the seminar. The decision-makers had an opportunity to learn about EDCs in a systematized manner, as this issue was brought to the attention of the national decision-makers for the first time. The identification of possible EDC containing pesticides in the list of pesticides entering the Armenian market. 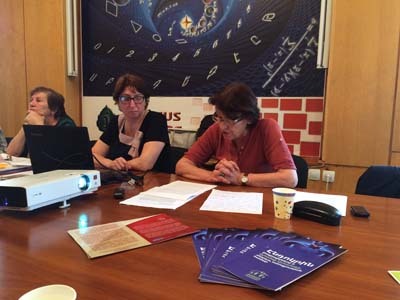 Understanding was reached on the importance of the issue and the need to include it into the national SAICM platform. The recommendations on EDCs were developed and presented to the national decision-makers and other interested stakeholders at the first seminar on the issue. The coverage of the seminar and the brochures helped increase the general awareness of the vulnerable rural populations. The national seminar received good coverage by the national electronic media (Yerevan Aarhus Center, Ecolur NGO, and Yerevan TV Channel).